Last week I got an email from Levi's teacher telling me he was going to receive an award. It was a surprise, so I wasn't supposed to tell him. She asked me to come to the assembly at school when they handed out the awards. Levi was pretty suspicious of me being at the assembly, but he didn't figure it out. 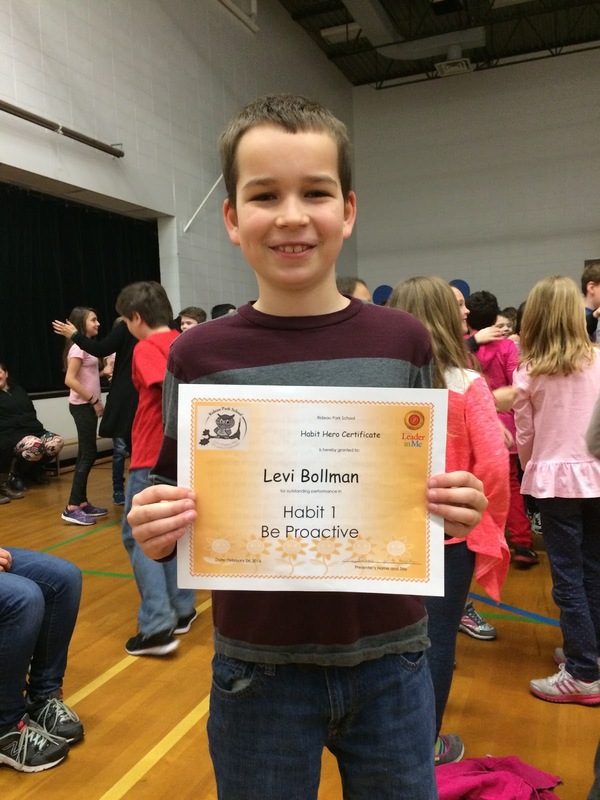 Levi was awarded as a "Habit Hero" for the all the grade 4's in his school. 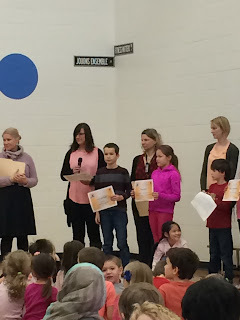 His teacher talked about how he is a leader in his class, he is proactive with his work and very helpful around the classroom with his classmates and teacher. When they called his name Levi was so cute! He was surprised, but ran up to receive his award.